Living Nonduality: What's it about? 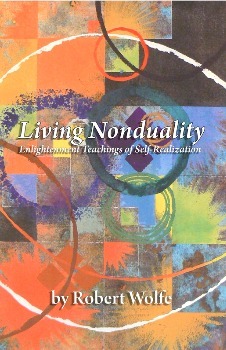 These monographs are a selection concerning nondual realization. Some were written as a reply to letters from correspondents; others were written as a response to a specific inquiry, resulting from an in-person or telephone discussion, over the years since 1988. The teachings of nonduality have begun to come of age in the West, recognized (at last) as the central essence of Zen, Dzochen, Tao, Vedanta, Sufism, and of Christians such as Meister Eckhart. In particular, the recorded teachings of sages (such as Ramana Maharshi and Nisargadatta Maharaj) have paved the way for a contemporary generation of illuminating speakers and writers. What all of these spiritual traditions have in common is a viewpoint which is different from mainstream Christianity, Judaism and Islam. How is it different, and what are the differences? This viewpoint (generally referred to as “nonduality”) is explored in 238 brief and insightful monographs by Ojai, California author Robert Wolfe in Living Nonduality. The direct and immediate experience of universal “Oneness” is often called “self-realization” or “enlightenment”—thus the books subtitle, Enlightenment Teachings of Self-Realization.